1. A genius splatter guard to turn frying bacon into a painless task. Get it from Amazon for $28.95, The Grommet for $21.95, or Walmart for $24.97. 3. A ~graceful~ keychain as a means to embrace their inner Steve Urkel while they're working on their Stefan. 4. A pack of anti-slip stair stickers befitting the #1 pup who still hasn't gotten the hang of gracefully descending the stairs. 5. A set of oven-rack shields because reaching in for a scrumptious muffin tin filled o' mini quiches shouldn't turn into a trip to the ER. 6. Or a notched oven tool for pulling out racks and pushing in dishes. 7. A heat-resistant glove, so their fancy new flat iron won't leave behind anything besides supermodel hair. 8. An eight-pack of wine sippy cups that'll save them some dignity when you're all drinking out of these as a group, obviously not because the last time they were over they spilled red wine all over your couch. 9. A two-pack of ~useful~ Scotchgard so you can gift one to that friend and hang onto one for spill-proofing your home before they drop by for a visit. Get them from Amazon for $20.44. 10. A six-pack of anti-skid socks for when they wanna kick off their shoes without sacrificing their personal safety. 11. And a pair of no-skid house slippers in case they want to feel like they're wearing shoes. Ish. 12. A water-resistant laptop case as a swap for their coffee-drenched one after one too many morning-bev accidents. 13. A PopSocket to facilitate a better grip when taking selfies, texting while walking, and other phone-y activities that can be perilous to that mini computer you depend on for your damn life. Get it from Amazon for $9.99 (available in 10 patterns) . 14. A drawstring makeup pouch, because loose mascara tubes are the new banana peels and we can't let that happen again. 15. A feisty door mat that anyone'll love and can absorb all sorts of slippery substances. Woven from natural fibers found in coconut husks to easily absorb moisture and resist mildew. Fine for indoor or outdoor use. 16. 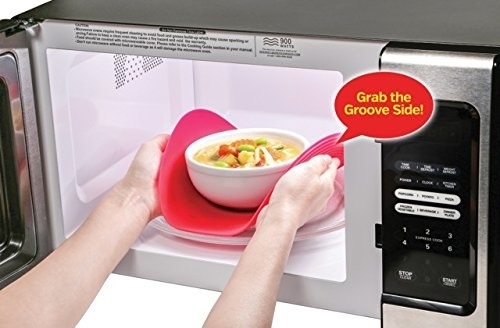 A ~groovy~ multipurpose grabber for some microwave leverage because even microwave-safe dishes can get too hot to handle. 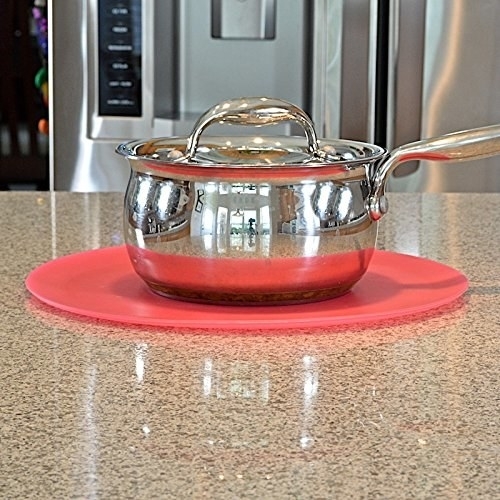 Flexible, nonstick food cover, splatter guard, pot holder, utensil rest, hot pad, trivet, placemat, and jar opener. Made from food-safe, BPA-free silicone. Heat safe to 450 degrees Fahrenheit. Get it from Amazon for $12.95+ (available in three colors, two sizes). 17. A pair of cut-resistant gloves, lest they make a Monty Python joke about how that gouge 'tis but a flesh wound before they pass out from blood loss. 18. A waterproof case that can withstand all sorts of extreme behavior, like toppling off a ski lift, falling into a white water rapid, or swiping on dating apps while on the toilet. Get this ~extreme~ case from Lifeproof for $89.99 and check out more products here. 19. A wearable nail-polish holder to help avoid spills and smudges. 20. Or a bottle holder that'll rest on a flat surface and allow you to even tilt your bottle to get the last dregs of that limited-edition color. Promising review: "They are heavily weighted, can hold a lot of cables (because they can be 'stacked' upon each other also), and are VERY economical!!! My office is soooo organized now!! I ordered a couple more to organize my two HDTV systems, too." —ERIC T.
Get it from Amazon for $5.95+ (available in six colors). 22. A ~bright~ power strip ready to twist in an out-of-the-way angle. Get it from Amazon for $19.40+ (available in three colors). 23. A travel mug with an auto seal because they've run out of people to sue for spilling hot coffee all over themselves. Get it from Amazon for $16.99+ (available in 17 colors, three sizes). 24. A fine art–ish nighlight as a guide for late-night bathroom trips, minus the other kind of trips. Get it from Uncommon Goods for $25 (available in four colors). Get them from Amazon for $7.50.